(VEN) - The General Department of Vietnam Customs (GDVC) is focusing on streamlining customs procedures in accordance with Government Decision 19/2014/NQ-CP on shortening the time needed for clearance of imports and exports as applied in the ASEAN-6, which includes Indonesia, Malaysia, the Philippines, Brunei Darussalam, Singapore and Thailand. 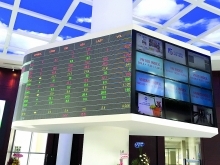 The GDVC successfully deployed the Vietnam Automated Cargo and Port Consolidated System and the Vietnam Customs Intelligent System (VNACCS/VCIS) nationwide, gradually implemented the National Single Window (NSW), and streamlined the new Customs Law in an attempt to facilitate the business community before submitting it to the government for the National Assembly approval. These efforts were highly appreciated by the whole business community. In addition, it also focused on investment in modern equipment and machinery to improve customs activities. 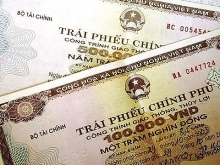 According to Minister of Finance Dinh Tien Dung, the ministry has asked the GDVC to focus on administrative reforms and achieve the goals set out by the government for the year via implementation of five key tasks. Firstly, the GDVC should be proactive in the implementation of the Customs Law 2014 with a focus on facilitating cross-border trade activities. In addition, it should also participate in business dialogues so as to listen to business complaints and recommendations and adopt appropriate solutions. Secondly, the GDVC needs to further deploy the NSW at ministerial and sectoral levels via the implementation of electronic payments, electronic permits, electronic certification of origin, electronic manifesting, and several other measures to improve customs clearance times. In addition, it also needs to cooperate with commercial banks in tax collection activities. Thirdly, the GDVC must monitor import and export tax revenue and apply necessary measures to effectively collect tax debts while still offering businesses with tax incentives. Fourthly, the GDVC should coordinate with relevant agencies to intensify post-clearance control with a focus on key businesses, sectors, and commodity items while boosting customs inspections against trafficked goods and trade frauds. Fifthly, the GDVC should pay due attention to training activities for its staff and highlight customs regulations and integrity. The government has asked the General Department of Vietnam Customs to promptly implement administrative reform this year with the intention to reducing the general clearance time from 21 days to 14 days for the outbound shipment and 13 days for the inbound shipment. According to the Ministry of Finance, the National Single Window application will help fall from 10-20 percent of costs and about 30 percent of time required for outward or inward clearance.